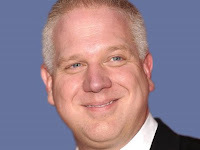 Not surprisingly, Glenn Beck is very pleased with Governor Romney's choice for vice-president, Congressman Paul Ryan. This is because Ryan is something close to Glenn Beck's "soul mate." The following covers what 1) Beck said of Ryan, a libertarian extremist and follower of the writings of Ayn Rand, in 2010, 2) what Beck posted online in the aftermath of Romney's announcement, 3) commentary from a couple of talk shows, 4) a list of thirteen things that the voting public needs to know about Congressman Ryan, 5) Beck explaining why Ryan "is easy to defend," and finally a "rewrite" segment about Ryan's love affair with a woman that he now must lie about if he has any chance what so ever of winning votes from the 3-5 millions American voters who have not yet decided who they are going to vote for. Two years ago, Congressman Ryan called into Beck's morning radio show, and after he hung up, this is what Beck had to say. Via a post on Beck's website entitled "Glenn's Soulmate?" This video has been taken down from Beck's website. You can read the exchange if you click on "Glenn's Soulmate?" "I think I really like him." This is not because Ryan is a conservative, as pundits and Beck himself are claiming, but because like Beck and every libertarian follower of Ayn Rand, Ryan is a reactionary. That is why he is a darling of the Tea Party. This may do well to shore up Romney's Republican base, but what will the independent, non-ideological voter think of an extremist a heartbeat away from the presidency? Doubt that Ryan is such an extremist? There is a short video is Ryan in his own words posted on the Crooks and Liars site. After Gov. Romney's announcement last Saturday, Beck had this to say on his Monday radio show. Via a post entitled "Paul Ryan pick shows Romney serious about fixing economy, shrinking government:"
"Mitt Romney has picked a solid, smart conservative," Beck distorts. Conservatives want to largely conserve the status quo; reactionaries, like Beck and Ryan, want to return government and public policy to some earlier time, the 19th Century in this case. Of course, Beck never describes himself as a reactionary; that is the job of the critic. So Paul Ryan is an August V-P pick. Romney is trying to appeal to the Tea Party section of the Republican base. However, when "Glenn Beck praises you as a political genius, you’re f**ked." So any supporters of Ryan or Beck will not read this post and be impressed. They have been convinced by the right-wing echo chamber that Maddow alluded to that MSNBC is "propaganda" and "liars," ironically enough. Ryan is an August pick, and Florida is now Obama's state to lose. Thirteen things that independent voters need to know about the man who wants to be a heartbeat from the presidency. The first point has already been stated, and the other twelve come in great detail from The Progress Report: You can read those details by clicking on that link. Glenn Beck "really likes" Congressman Ryan. Beck is an extremist, a far-right reactionary. Ryan embraces the extreme philosophy of Ayn Rand. Ryan wants to raises taxes on the middle class, cut them for millionaires. Ryan wants to end Medicare, replace it with a voucher system. Ryan’s budget would result in 4.1 million lost jobs in 2 years. Ryan wants to eliminate Pell Grants for more more than 1 million students. Ryan supports $40 billion in subsides for big oil. Ryan has ownership stakes in companies that benefit from oil subsidies . Ryan accused generals of lying about their support for Obama’s military budget. Ryan co-sponsored a “personhood” amendment, an extreme anti-abortion measure. This election will be a simple choice for American voters: Depending upon who wins in November, we will either move slightly forward toward a more perfect nation or we will regress backward toward a version of 19th Century liberalism, what Ryan calls "classical liberalism." On his Internet program, Beck explains why it's "easy to defend" Congressman Ryan. See how many times Beck mentions Ryan's love of Ayn Rand (zero) and how many of Beck's points actually overlap with the points listed above (#13 in particular which Beck lies about). The embed code from Beck's video clip is not functioning, so you will have to watch Beck explain that the Ryan budget is "extreme" on GBTV. (He does not explain that cutting $5 trillion from the budget in weak economic times would result in job lose (#4 above). Ryan is easy for reactionary liars to defend and easy for progressives to expose as precisely what Beck agrees with, i,e, "extreme." Can you imagine how Glenn Beck would deal with the President if Obama has expressed support for the writings of an atheist, European author? Update, 9/08/2012: Glenn Beck is not the only person happy with Gov. Romney's choice for a running mate. When you vote in November, do you really want to put Glenn Beck's soulmate and someone that V-P Cheney admires a heartbeat from the presidency? To paraphrase Clint Eastwood, "well, do ya voter?" Update, 9/22/2012: A piece in the New York Times points out that Ryan has maintained close ties to the reactionary, Tea-Party funding Koch brothers. They wrote that "Mr. Ryan is one of a very few elected officials who have attended the Kochs’ biannual conferences, where wealthy donors sit in on seminars on runaway government spending and the myths of climate change." Is that the guy you want a heartbeat from the presidency?